A few years ago we read a book called Going Home; The Mystery of Animal Migration and then followed that up with a fun Penguin Painting. It's a two part painting so we started with the background. We used we damp rags to wipe color onto our background and then painted cling wrap white and pressed it over the blue to make a very neat background texture. Once the background was all dry I had them lightly draw two large oval for the penguin bodies and then add wing flaps. For the fish they started with an "eye" shape and added a curved tail. 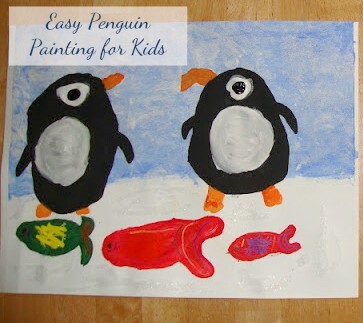 We got the penguins and the fish painted in a few solid colors and then set them aside to dry. Once dry we added small white circles for their bellies, white dots for the eyes, orange beaks, and spots or stripes on the fish. They are adorable! I'm always on the lookout for things to make with my grandkids and they would love this. 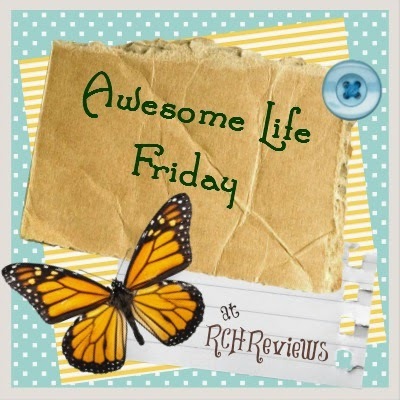 Thank you for sharing on Party in Your PJs! Thank you; I'm so glad you liked them. Very cute! I love that even young kids can do the layering with this.